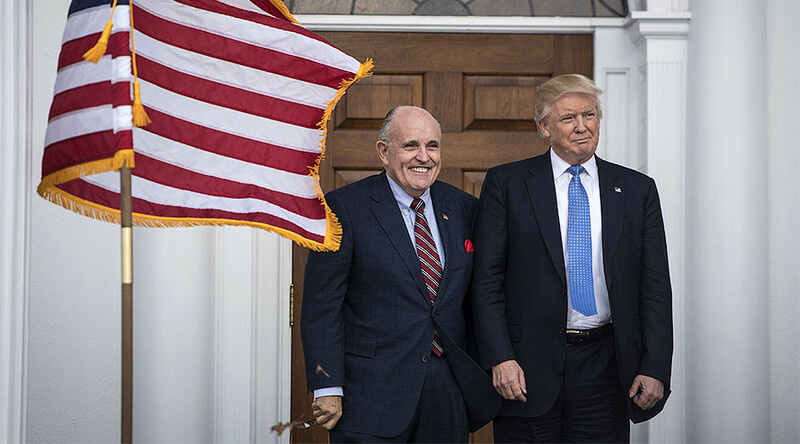 Donald Trump’s appointment of Rudy Giuliani as a cyber security advisor has been met with scepticism online, with some Twitter users questioning the ethics of his appointment and how tech savvy the former New York mayor actually is. Under his new role, Giuliani will be “sharing his expertise and insight” with the president-elect on private sector cyber security problems, a role some online have already criticized as being too vague in its very definition. “I guarantee that Rudy Giuliani does not know how to turn off his iPhone” was one of a number of tweets questioning how confident the 72-year-old is with technology. “My dead grandmother is a better computer engineer than Giuliani,” another read. Giuliani founded a security consulting business, Giuliani Partners LLC, in 2002 that went on to have a contract with the 2016 Olympic Games in Rio de Janeiro. “Is this a government contract with Giuliani's security company?” one user asked on Twitter. Giuliani was an outspoken supporter of Trump during his election campaign, delivering a prime time speech backing Trump during last year's Republican National Convention. He had been rumored as a possible choice for the secretary of state post, a position that went to Rex Tillerson.